Driving a tow truck is used for the movement of improperly parked, disabled, or impounded motor vehicles. These drivers may have involvement with the recovery of vehicles which have been damaged in accidents, the return of vehicles to a solid driving surface in inclement weather, the towing or transportation of vehicles to repair shops or any other location. These vehicles are driven and carried by tow truck drivers for the implementation of its different uses. Below are the tow truck driver requirements to be able to be employed in this job. Tow truck drivers make certain that they are able to work in different kinds of industries. Generally, the requirements of tow truck drivers differ according to the state, local, or federal jurisdictions. Government agencies both local and the state are administering the general qualifications for the tow truck drivers and these include the licensing and the certification. The standard age requirement is to be at minimum of 18 years old. There are a lot of states requiring the tow truck drivers of the submission of fingerprints needed for the criminal background investigation, payment of a certain fee, and having to take a hold of a driver’s license which is valid. 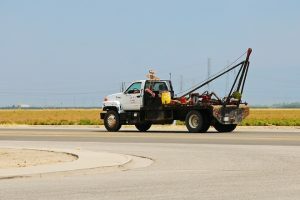 According to the U.S. Department of Transportation, the tow truck drivers must have in possession a commercial driver’s license and this is most especially applicable to those drivers driving both cargoes and trucks that are over 26, 001 pounds. Despite the fact that the U.S. Department of Transportation have the requirement of obtaining a commercial driver’s license which are ideal for tow trucks as well as cargoes of more than 26, 001 pounds, there are still a number of local and state agencies who implement the requirement of a commercial driver’s license for each and every operator of tow trucks. In order to acquire the commercial driver’s license, one should be able to attend an accredited training as well as be able to pass both the written and the driving test. Having the commercial driver’s license will also help increase the opportunities for employment. Being able to have a good physical health is what a lot of the local, state, and federal agencies require the tow truck drivers to possess. The drivers may be needed to pass different kinds of assessments and these include the test vision, hearing test, and physical fitness. Majority of the employers as well as the agencies have the requirement to pass a drug test for the adherence to the policies of the insurance. The job of the tow truck drivers is working on irregular hours which may include during evenings, weekends, and even holidays. Individuals who have the interest to this job must have the will to work on this type of schedules. They too must be willing to work overtime for the completion of the job responsibilities. Certification for tow truck drivers are being offered by different organizations which include the Professional Truck Driver Institute as well as the Towing and Recovery Association of America. Not all employers will require the certification however this can increases the chances for employment.